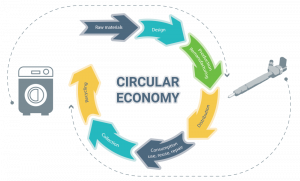 As part of the European Research Framework H2020, the European Commission supports the European industry in the large-scale build-up and implementation of circular manufacturing systems in order to drive a development towards a stable circular economy in the EU. The Research Project “Resource-Efficient Circular Product-Service-Systems” (ReCiPSS), kicked off on June 1st 2018. This project has received funding from the European Union’s Horizon 2020 research and innovation programme under grant agreement No 776577-2. The content of this website reflects only the ReCiPSS consortium’s view. European Commission is not liable for any use that may be made of the information contained herein.